COMPETITIVE ALUMINUM The triple butted Columbus Airplane 7005-T6 aluminum oversized sections of the down tube and rear stays guarantee full power transmission, making the Vigorelli frame suited to riders racing predominantly on the velodrome or those who – in fixed gear criteriums – privilege pure stiffness and speed. COMPETITIVE HEAD TUBE Full track geometry and 1,5” fork with 35mm rake, nowadays distinguishing features of Vigorelli frames, ensures you can take even the tightest corners at lightning speed. The geometry is versatile and durable, for racing as well as cruising around town. Sharp and focused. COMPETITIVE SAFETY Front and rear brake ready with internal cable routing inside the top tube for the rear brake to be safe in the unpredictable situations of the urban environment and to comply with the most restrictive laws. You can pedal to the velodrome with the brakes on, easily remove them and bank in track turns and then safely go back home. One frame fits all. The most versatile Cinelli track frame used by the Team Cinelli Chrome and independent riders all over the world. 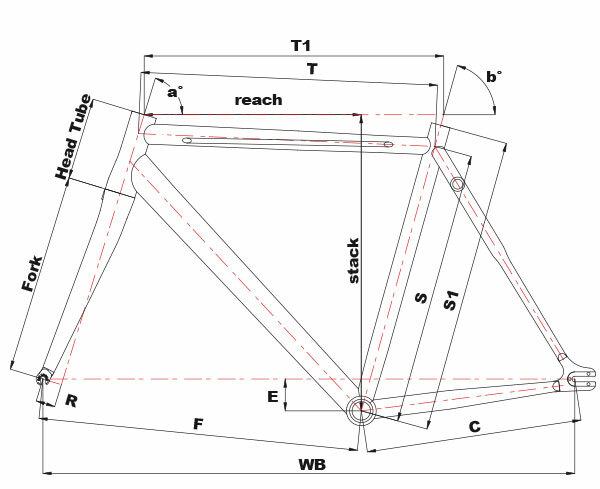 The right frame to bank in velodrome turns, tackle tight bends of the most demanding criterium urban races and speed through traffic in total safety with the possibility of assembling front and rear brake. Internal cable routing inside the top tube for the rear brake. Full track geometry and 1,5” fork with 35mm rake for fast cornering and extreme reactivity. The Columbus Airplane oversized sections of the down tube and rear stays guarantee full power transmission. In the summer of 2017, 20 year-old Paola Panzeri, who divides her season between Team Cinelli Chrome and sn Italian Elite Professional team, lined up for Italy’s first cycling federation-sanctioned Fixed Gear Criterium National Championships. The race course was twisting, the weather bad contributing to a careful race. A small group of elite riders arrived at the final kilometer together. The riders almost came to a halt, studying each other, before opening the sprint. In this video Panzeri explains how she became Italy’s first ever female Italian Fixed Gear Champion. Comparing the Vigorelli Alu with the new Vigorelli Steel one notices its more “traditional” pure track geometries, suited to riders racing predominantly on the velodrome or who – in fixed gear criteriums – privilege pure stiffness abd speed over the greater handling precision of the Vigo Steel (which is particularly suited to dirty, technical races).